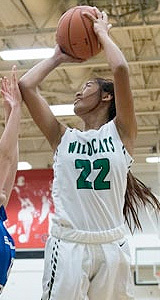 Player of the Year: Chanelle Molina, Konawaena, G, Sr.
For the third consecutive year, Chanelle Molina stood above the rest. 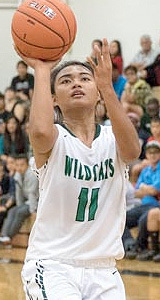 The Konawaena guard was again selected as ScoringLive's All-Hawaii Division I Player of the Year after helping the Wildcats to their second consecutive state title this season. 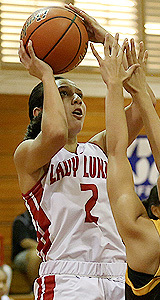 Molina, a 5-foot-7 guard, was as effective with the ball in her hands as without. 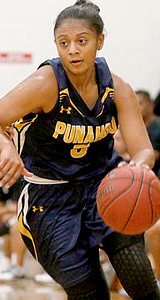 She scored when Konawaena needed her to and created at other times. She was a hard-nosed rebounder on the block and displayed her uncanny vision with spectacular no-look pass after spectacular no-look pass. 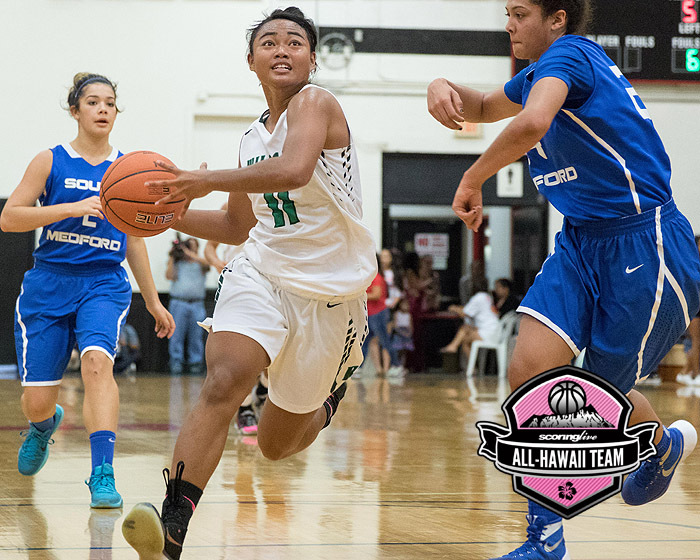 "She's a great athlete," Honokaa coach Daphne Honma said of Molina. "She hustles, she works hard, she defends. She does so many things for them. They have a lot of weapons so they don't have to depend on her to score but she can also take over the game any time she wants to." 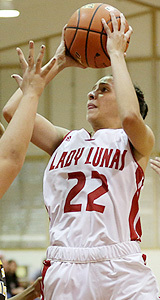 In December's Iolani Prep Classic, Molina averaged 24.7 points to lead the Wildcats to the tournament title. She had 22 points with five assists, four steals and three rebounds in the championship final against Bishop O'Dowd (Oakland, Calif.) and was named most outstanding player. 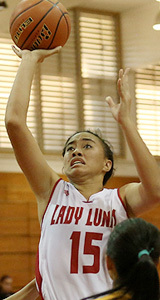 "Chanelle is an excellent leader, so much so that once she steps on the court her mentality and their mentality is that they can't lose a game with her on the court," Lahainaluna coach Todd Rickard said. "She instills that confidence in the coaches and the players. They know that they're going to be in good hands and that the chances of beating them are slim; she keeps them composed." Honma wholeheartedly agreed with Rickard's assessment. "I think her role was to basically be the leader of the team on and off the court," Honma said. "Just her presence is huge. Even if she's not playing, just having her on the bench is huge. She's kind of like their rock for them; she's solid. Her personality is very positive, she's a great kid and she's very supporting of her teammates." 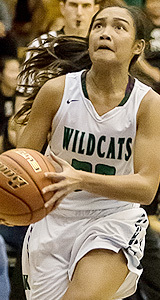 Molina, who will play for Washington State University next year, averaged 21 points in three games at the prestigious Title IX tournament in Washington, D.C. in late December, but saved her best for last. 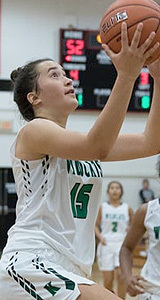 She scored 17 of her game-high 24 points after halftime to go along with six rebounds, three assists and a steal to help Konawaena rally past Maryknoll in the state championship game and cemented her name amongst the greats in the process. "She's there to make her team better and that's what she does," Rickard said. "There's no doubt about it that she's definitely worthy of being Player of the Year." 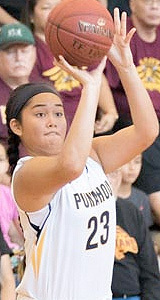 Joining Molina on the First Team is her younger sister and Konawaena teammate, Cherilyn, a sophomore guard, as well as Lahainaluna senior guard Cameron Fernandez — a repeat First Team selection — along with her teammate, senior center Keleah-Aiko Koloi and Punahou senior forward/center Tyra Moe. The second team is made up of Konawaena teammates Ihi Victor and Celena Molina, Lahainaluna's Fiamea Hafoka, Maryknoll's Alexis Delovio and Punahou's Kamaile Kandiah. The third team is comprised of Maryknoll's Rhianne Omori, Kaiser's Rose Shimaoka, Hilo's Alexis Pana, Farrington's Molimau Heimuli and Roosevelt's Keala Quinlan. Konawaena lived up to its billing. The Wildcats held the No. 1 spot in the Hawaiian Electric/ScoringLive Girls Basketball Power Rankings from start to finish. They compiled a 26-1 overall record with their only blemish coming in a six-point loss to Forestville (Md.) in the prestigious Title IX tournament in Washington, D.C. Ultimately, Konawaena went on to win its final 15 games, including a perfect 12-0 mark in the Big Island Interscholastic Federation. "Every year Bobbie does a great job," Honma said. "She does a really good job of getting them to jell and putting them in positions to succeed. They're fundamentally sound and she does a lot of good things with them." The Wildcats claimed their second straight state championship and seventh in school history — all coming under Awa. They used their starting five for all 32 minutes of 44-34 win over Maryknoll in the title game. "Kona will do things different and Bobbie has been in this for a while," Rickard said. "There's things that Bobbie and her staff have been doing for years already that are ahead of the game. That's why they have seven state championships." Other coaches that received consideration are Maryknoll's Chico Furtado, Mililani's Patrick Basilio, Radford's Charles Chong and Farrington's Caroline Tatupu.